The Ram truck lineup includes award-winning models like the Ram 1500, which has received tremendous critical acclaim. Drivers can also choose the heavy-duty Ram 2500 or Ram, 3500 both favorites of Anoka businesses for their potent engines and available luxury appointments. Explore our inventory and keep reading to see what you have to gain when you slide behind the wheel of a Ram truck. What Can You Expect From a Ram? And that’s just the beginning. 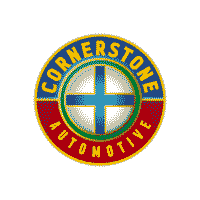 Schedule a test drive and see the many ways that Ram trucks are built to enhance every part of your daily drive and how easy it is to get the one you need from Cornerstone Automotive.